Each year, thousands of nonprofit organizations are forced to close their doors due to lack of funding. It is a challenging endeavor to start a nonprofit; many fail within the first five years. Founders struggle to keep a nonprofit alive day-to-day without the promise of personal financial reward. There’s no IPO in the future—the only payoff is social change. JustGive was founded to give all nonprofits the opportunity to reach a wider audience through the Internet. 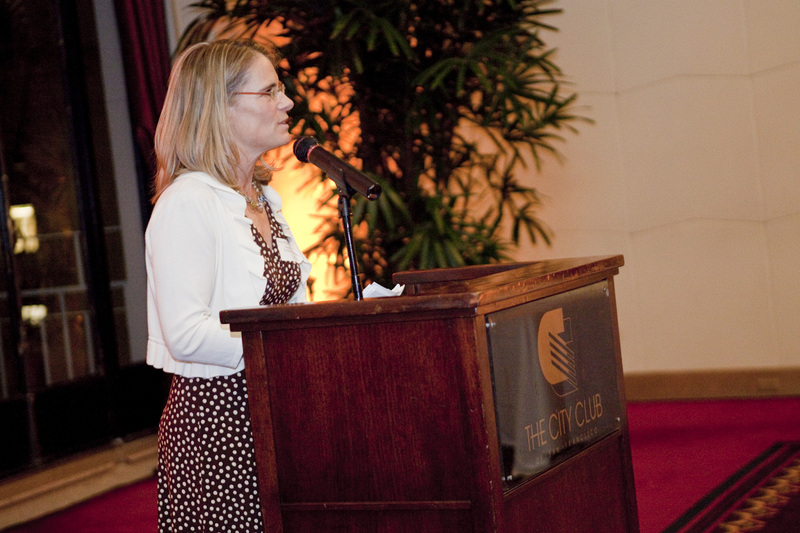 And now that we’ve reached our tenth anniversary, we had the opportunity to honor the monumental achievement with a celebration at the City Club in San Francisco this past month. Welcomed by the joyous bells of the Golden Gate Boys Choir, the event brought together our supporters and partners, and dedicated staff and Board members, past and present. 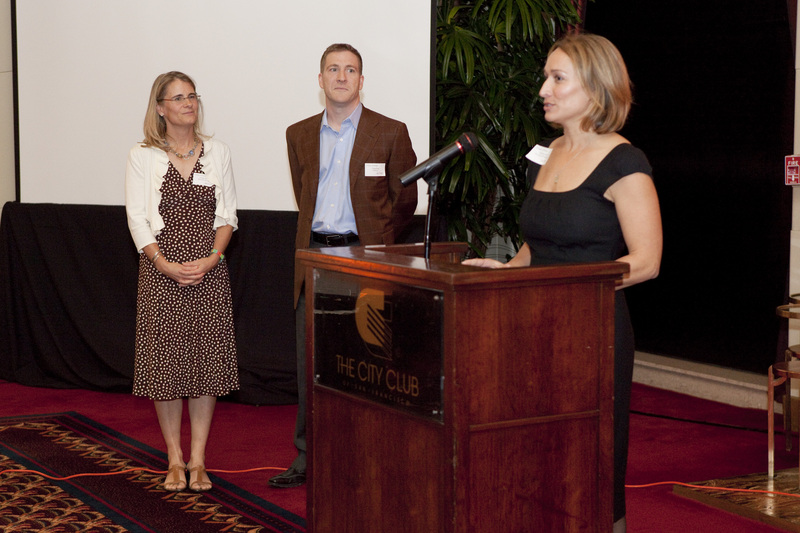 During the night, three Bay Area nonprofits we’ve helped over the years spoke about their work and how JustGive has made a difference. Reverend Cecil Williams of the Glide Foundation spoke about how we must all come together to end poverty and hunger. Allison Rouse, Senior Development Director with Room to Read inspired us with the organization’s vision for world change that starts with educated children. Don Margolis, a volunteer with AMIGOS told us how their students are bridging cultural gaps through student exchange. The potent bats of the soon-to-be World Champion San Francisco Giants held the attention of the city, but our lineup of speakers was—in my humble opinion—more compelling. The most moving part of the evening was hearing the passionate words shared by our founder Kendall Webb. It pleases me to share excerpts from her speech with you now. We’ll post the full speech and more photos from the event on the JustGive site in the near future! I am so moved standing here, and looking out at all the incredible people that have come together to make JustGive happen. Getting ready for this event has given me the chance to pause and remember some of the most amazing moments in our history. I was working at a for-profit Internet site…and I realized the Internet could make a significant impact for philanthropy. But when I looked at the few initiatives being discussed which were going to be set up as for-profits, I asked how they would balance the conflict of interest. They said “the cost of technology is too high” and they were going to “take the poor public.” I disagreed with the reasoning, and fueled by this, I was more determined than ever. Our mission is to expand charitable giving and add new innovative channels and programs that keep giving easy, informative, current, fast and convenient. To do this, JustGive focuses on developing charitable programs that seamlessly fit into today’s lifestyle and keep charitable giving a part of everyone’s everyday lives. We were the first to launch charity registries, which raise millions of dollars for nonprofits. We were the first to launch charity gift cards, which have generated $4 million for charities to date. And finally, we were the first to initiate the creation of a new category for redemption points—Charity to compete with Travel and Retail. We have redeemed just under 1 billion points, generating over $9 million for charity. And for all of us in the room, we’re most proud that funds from these programs generated money that would not have gone to charity otherwise. We are raising significant money for charity—the top 10 charities have generated over $1 million. But more importantly, we are raising money for a huge number of charities. While each charity may not receive large dollar amounts, to them, every check is significant. I want to end with a story that gave me the vision and desire to bring together so many of you as a community to do something great. We are each a brick in JustGive, and together we have built this incredible charitable vehicle. I hope we continue to lay many bricks and that we attract new and more people to add bricks to this nonprofit we have built. For those here tonight that are not currently involved in JustGive, I invite you to add a brick or two. Thanks to our past and present team and Board, and a group of donors generously making personal financial gifts and providing donated services over the years, JustGive has grown and expanded its reach, becoming The Destination For Online Charitable Giving®. 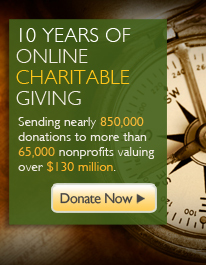 Please join us in raising a virtual glass to 10 years of online charitable giving! 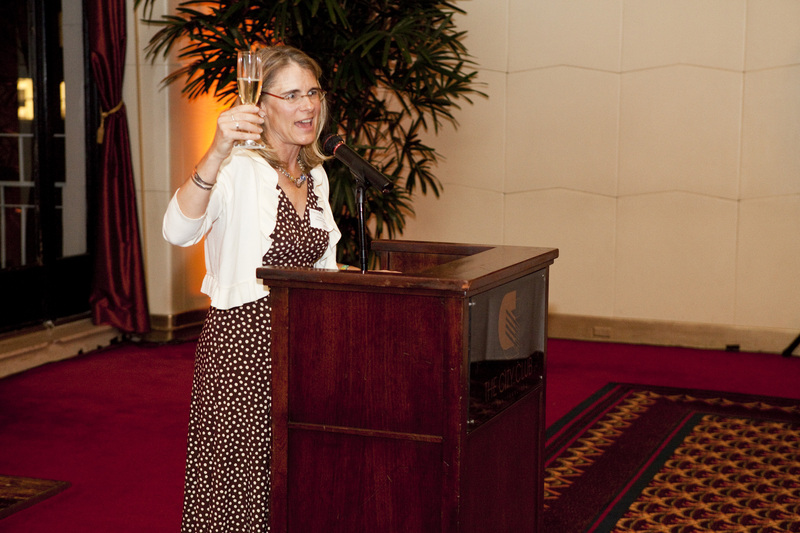 Saluting not only that JustGive has reached this important milestone, but celebrating all of the nonprofits we’ve had a hand in reaching their significant milestones. Have something you’d like to share about JustGive? Visit our Facebook page.